showers | Frugal, Funny, and Fabulous! Pinterest is a total guilty pleasure of mine. 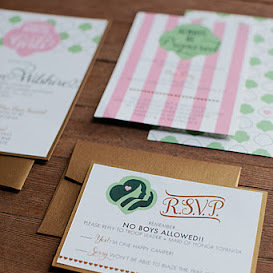 I do only about 10% of the things that I pin, but one thing that caught my eye today was a Girl Scout bridal shower. I liked this because I am still in touch with most of the girls I was in my scout troop with and we love to throw showers and host events together! I loved this from Beau & Arrow Events!